connieloua | Todd & Connie Lou…from Papua New Guinea…to you! Five days after returning from my time in the US to say goodbye to my brother @curtlandreth and spend time supporting my family after his loss, we experienced the most severe earthquake PNG has had at 7.6 on the richter scale. We woke around 3:42am to the bed shaking and soon realized the whole house was shaking severely. We thought we would ride it out and stayed in bed for a few more seconds. When we realized it was not ending and the shaking actually intensified, Todd suggested we get out of the house as it is on stilts and perhaps not built to withstand such a force. I grabbed my cell phone and torch (flashlight for you Americans) put on my robe and headed for the door. Todd was trying to get the keys into the locks while swaying with the quake as it continued to roll. One door open, then working on the metal security door, finally getting that open as well and we were outside! We quickly went down the stairs and away from the house as the earth continued to shake. It slowly started to quiet down and our pulse rates with it. Todd headed to the other compounds to check on staff, and called others. Thankfully we were able to get back to sleep as the power was now out and so an early morning in the office was not going to be very productive, and with that severe of a shake, the possibility of fissures in the road was likely and so traveling in the daylight was deemed to be much more prudent. The aftershocks continued and were at a level of 4.0-6.0 and are still occurring three days later as I write this update. Tuesday morning I was briefed on the need for photos of the area and so Mandy Glass who is the Comms Officer for our Base and I climbed into a Caravan with her husband Mathias flying along with Luke Newell and three Government Disaster Response Team members. 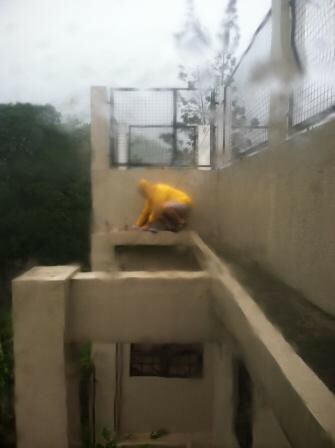 The photos were sent to MAF I Disaster Response and Security to review and issue a press release. You can see that below, along with a link and directions on how to view the images on a google map so that you can see the exact location where the picture was taken. Please keep PNG in your prayers! Pray for safety as our pilots continue to do med-evac flights and for those on the ground helping people dig out from the numerous land slides. Pray that MAF will continue to see isolated people physically and spiritually transformed in the name of Jesus as we work with different agencies and organizations in the response to this disaster. Learning a new language is always an adventure! We are learning Tok Pisin which, is the trade language used by Papua New Guineans as there are some 800 +/- different languages in PNG! Luckily for us, Tok Pisin uses quite a lot of English and German words that are spelled slightly different but have very similar meanings to the English and German words they came from. Bipo bipo tru God i mekim kamap skai na graun na olgeta samting i stap long en. A few years ago, Gary and Eleanor Zweigle, from Tumwater CotN in Olympia Washington, introduced us to the Gideon Bible App that has many of the different translations of the Bible in one very easy to use App. The App has the entire Bible in Tok Pisin as well as an audio version of the New Testament. What a great help that has been to hear the language spoken and read along with it! Although there are many familiar or similar words, there is a tendency to “Pidginize” English words to make them sound like Tok Pisin which, does not work! Tok Pisin is an independent creole language that originated as a Pidgin. There are some words that we have been advised not to use! Some words that in English are very common and do not have a negative connotation, and yet their Tok Pisin equivalent can be offensive. We need to really watch our language! 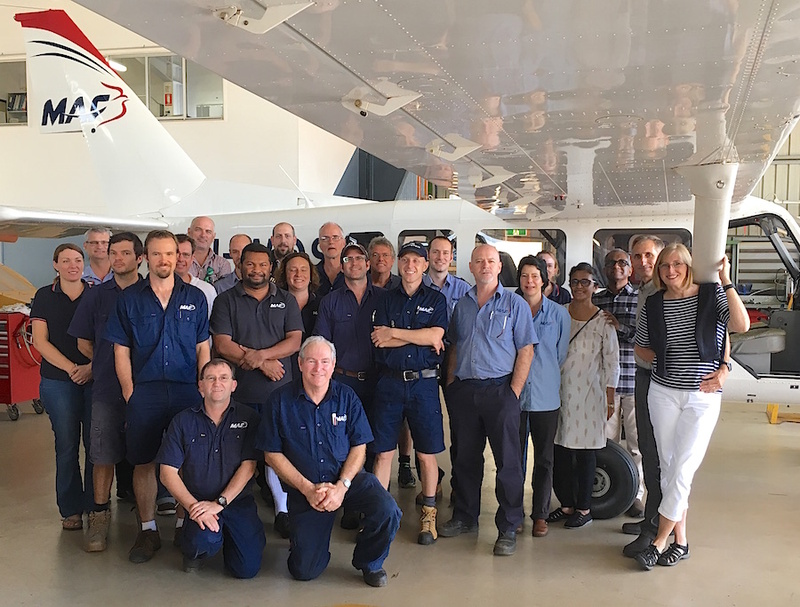 Friday, August 18th was a Staff Development Day that we were blessed to attend along with the MAF Staff in Cairns and also the folks from Mareeba. Dr. David Riddell of Living Wisdom, Nelson, NZ, was the presenter and we worked through a lot of helpful information on leadership and making friends with your mind. He explained what that means and how it helps each of us deal with all the different things we deal with. He wrote a book on this and once the dust settles a bit for us, I will have to see if I can download this book! Connie Lou’s new passport with more pages came back this week! VP and Nirmala’s (our colleagues) Visa/Entry Permits were granted this week! Our Visa/Entry Permit process. We are still waiting for the paperwork to be approved so that we can obtain our visas. Please continue to pray for our language acquisition. Pray for VP and our Regional Director as they will be going to PNG for meetings Monday, August 28th to Thursday, August 31st. Update from Down Under – Meetings, Meetings, and More Meetings! As we finish up our first week Down Under, our heads are full with all the information that has been given to us in the meetings with various leaders and department heads. 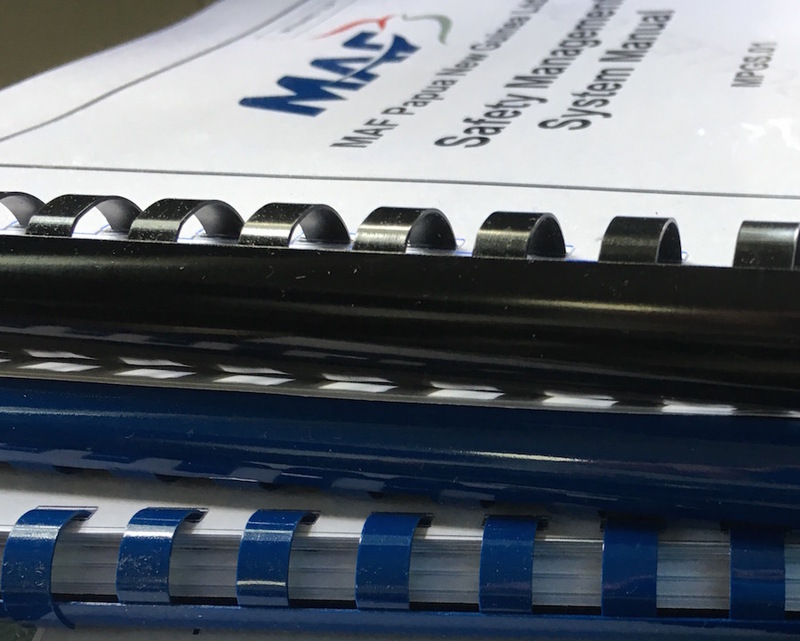 We are thankful for jet-lag that has helped us to wake early in the mornings so that we can get a lot more reading done before we head to the MAF Cairns Office for each day’s meetings. On Monday we met our colleagues VP and Nirmala on our trip to visit the Mareeba site. We are so excited to be working with them in this capacity. Our room at Tree Tops with our luggage. 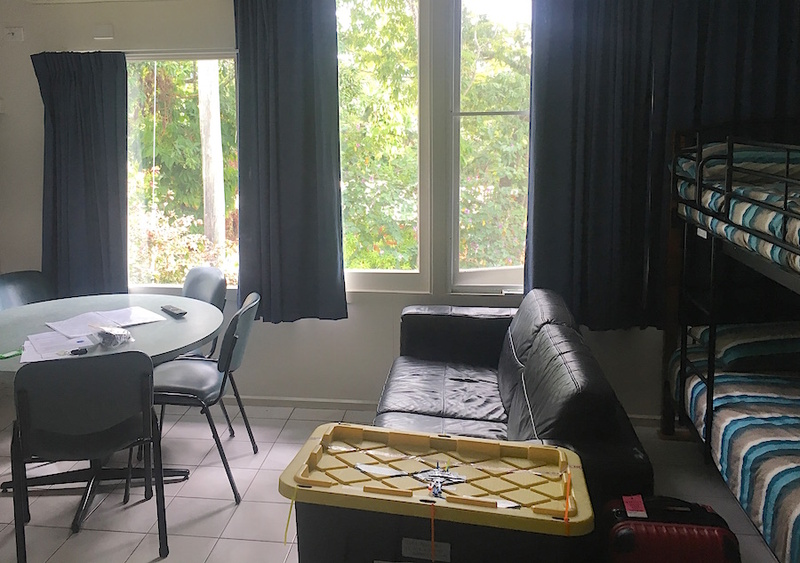 We have a nice apartment in a complex owned jointly by MAF and SIL missions. It is located just north of Cairns by a few miles. We are doing training here while we await the finalization of our entry permits and visas. It is a 3-step process. 1) Work permit, 2) Entry Permit, 3) Visa. Our Work permit was granted last week (we had applied in June) and we immediately made application for the Entry Permit. Connie’s passport was getting low on pages so we also had to apply for a new passport through the embassy in Sydney, and it should be back the last week of August. Also for the finalization of the Visas / Entry Permit process. We start language school on Monday and this last through about the 3rd week of September. Thank you for partnering with us in prayer! We know that God hears and answers your prayers and we so appreciate your willingness to lift us and this new ministry in which He has placed us to the Father. Our work weeks are busy, quite busy! But if you know Todd, you already know that! No matter what job he has, he does it with his whole heart and works hard at it no matter whether its scrubbing floors, or working as the Regional Communication Coordinator for the Asia-Pacific Region along with all the other hats he wears. Our weekends…… are even busier! This past Saturday saw us at the race track for the Diamond Motor Supercross 2017 event! Todd helps the medics, from his perch at the highest point on the track so he can see when a rider goes down and he can go running! I position myself in various places to get great action photos! But it typically starts earlier in the morning with set up and various activities, all the while looking for opportunities to share with the riders or pray with them before they gear up and start practice. Saturday we woke to a downpour. Our hearts sank as we thought of a muddy track, which always means more accidents, as it can be so slick when it is wet. The rain did stop after a few hours, and since the official practice time was not till late morning, the puddles had pretty well soaked in. By the actual start of the event, the track was perfect! God is so good! There were a few accidents and Todd got a lot of running in to get to them quickly to assess them, but no one had to go to the hospital! That is a big praise in this sport. I got some great shots of great races! (Click here to see) Trying to get the majority of the shots with the sponsor signs in them for promotion. 🙂 There is nothing like the thrill of plunking yourself right in the center of the track with racing dirt bikes all around you and just turning and shooting all day long! Then, in the evening, as Todd stayed to help clean up all the tables and chairs and trash…… I went home to start editing and posting. That is a much longer process than just spending the whole day taking photos! I started working on them again on Monday after work hours, and I finished up the last batch about 9:00pm Monday night. Then into Sunday! Race track Tent Church in the morning, including interaction with riders and family members for a few hours and then race home, take a shower to get the dust off, swallow something to keep us going and off we go to the Makati church! Ending up back at the house around 9:30pm! 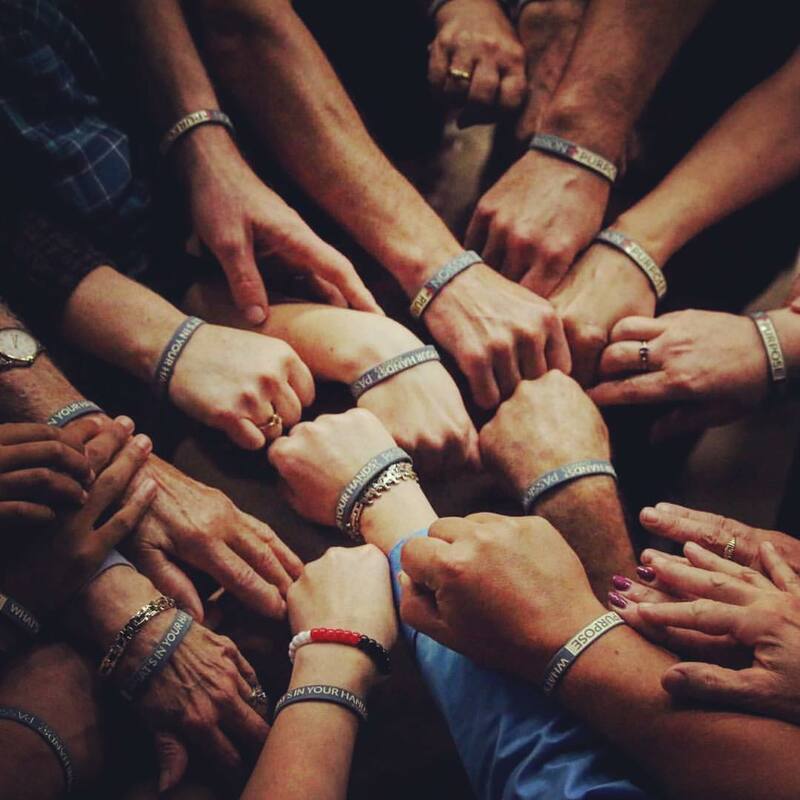 What a whirlwind weekend, but what a full heart we have as we reflect on all that God has allowed us to be involved with, the new connections made and the lives that we continue to witness being transformed by the love of Jesus! Daily Following Where The Spirit Flows……. What is your idea of the perfect home? Perfect place to live? Perfect job? Perfect relationship? We may have our ideas of what the perfect life looks like, the perfect job, the perfect house, the perfect place…. But living day-to-day following the flow of the Spirit is ultimately so much more fulfilling and refreshing than anything we could possibly do on our own. Throughout our lives, we have lived in many different places, in varying degrees of conditions, different lifestyles etc….. but as we reflect back, the most fulfilling times in our lives, have been when we were in places that were not comfortable, and quite often not what we had planned for ourselves. Typically at that moment, we may not have seen the bigger picture, but looking back, we can see how God moved in and through and how that event or time made an impact on our lives, our ministry and our outlook. Living daily, often moment-by-moment going where the Spirit flows takes a conscious effort to think outside of the box. Looking beyond the situations we face at any given moment, to what God might want to teach us through what is going on in our lives. It is in this place that we find fulfillment and purpose. The Motocross Messiah Fairground Fellowship officially recognized on November 19th. 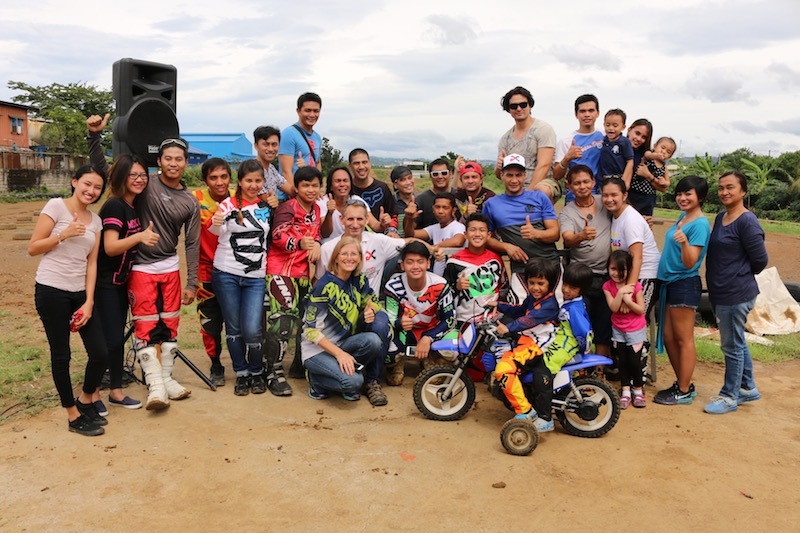 When we came to Manila to serve as the Regional Communications Coordinator and wife, we never dreamed we would be a part of an out-of-the-box organic church plant at a motocross racetrack on Sunday mornings. We never dreamed that we would don the gear and get on a dirt bike and take a few lessons. But as we came alongside a young pastor who was feeling the tug of God in his heart, to leave the comfort of an associate pastor position in a large church, this is where we found ourselves. The people we meet on a weekly basis, the lives we are fortunate to share with on a daily basis, have been a blessing to us in a way that we never could have foreseen. Stepping away from the traditional church on Sunday mornings, with the singing and the order of worship that we were used to, was not an easy decision to make. We had to look beyond our comfort and what we were familiar with, to what God had for us. The doors He was opening for us to walk through. And after a while, this has become the new normal and we love it! We continue to see lives changed or refocused, marriages strengthened and families united. We see others putting their faith in God and not in themselves, or their circumstances. This is where the real blessings come in! As we see what God is doing in and through them, our faith is bolstered and we eagerly seek what God has for us next! We expect to hear the Holy Spirit prompt us daily; urging us to speak to someone, giving us an open door to walk through and with each encounter, our faith is strengthened. Life is not just a bed of roses, there are a few thorns in there, but we choose to look past the thorns, to see the beauty of what God is creating. There are days when the rain is pouring and we are at the track in the mud and yuck and only a few show up and we wonder, “What in the world we are doing?” There are days where nothing seems to click and the traffic is bad and we are late and we just can’t seem to catch a break. But as we continue to focus on the Lord at the start of every day, spending time in prayer and reading the Word, we refocus on the bigger picture. We see the opportunities God places before us and the relationships He brings along that are not only for us to share with others, but to encourage us as well. As you look at your life, where God has placed you and the skills, passions, abilities, and life experiences that God has put in your hands to serve Him, may you sense where the Spirit is flowing and follow, keeping your eyes on the Lord and daily spending time in the Word. You will be blessed and life will never again be the same! Gearing up for Work & Witness Conferences! We believe that God has given each and every one of us a talent that He intended for us to use as a tool to tell others about Him. For a man named Sam, that talent is riding dirt bikes. 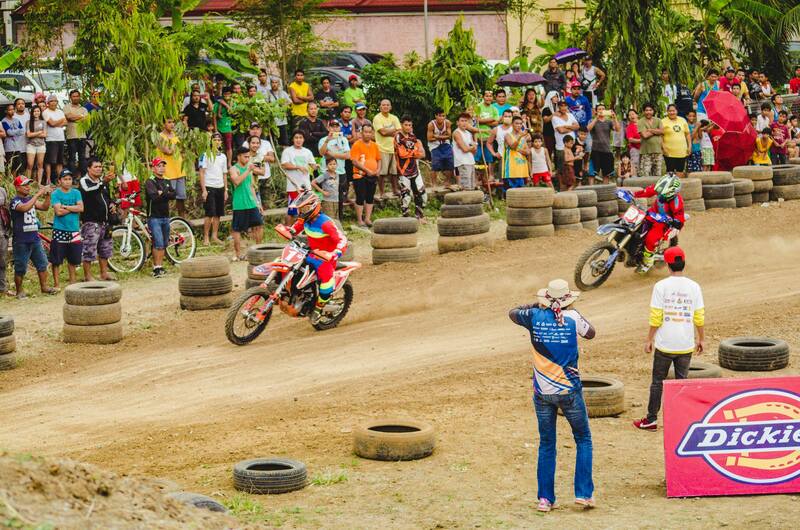 A former Philippine National Professional Motocross Champion, Sam uses his love of the sport and his talent as not only a rider, but former champion to share Jesus with others. Sam will be sharing along with Todd and I (Connie) at the Eastern and Northwest Work & Witness Conferences about how his father, an influential businessman, was impacted by a Work & Witness Team of corporate professionals that came to the Philippines and got down in the dirt and worked to build a church alongside the nationals. This prompted his father to take an inward look and stepping out in faith became a pastor, and eventually a DS as well. Left for dead alongside the road in 1999 after a fatal accident that took the life of his father (coach/Nazarene Pastor/DS) (bus collided with the Team Yamaha vehicle) Sam committed to living life as a “second lifer” dedicated to being 100% sold out. 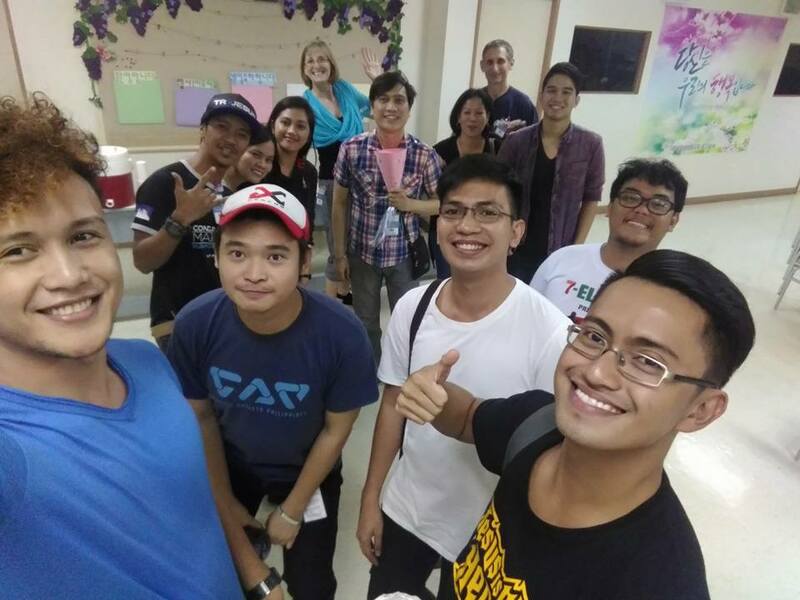 God has used him to not only start a race ministry that was just recently featured on the Pilipinas Got Talent Franchise to millions of viewers (no exaggeration here), but also to pioneer an English service and Generation Congregation (GenCon) youth movement of training “Frontliners” to become disciple makers. He has gone to the skate parks and interacted with the “untouchables” several of whom are now licensed ministers. There are now 4 generations of leaders who are discipling leaders, the group has surpassed 200 youth. Sam was asked to be a featured speaker for the Asia-Pacific Quadrennial Regional Conference in October of 2015, to share his vision and passion for reaching the lost in non-traditional manners. He has served on the board of trustees for one of our Nazarene Bible Colleges, has been instrumental in our Lay Ministries Training Programs, and as an ordained elder, is a very well respected member of the clergy here on the Philippine / Micronesia Field and across the Asia-Pacific Region. Two years ago God prompted our hearts to come alongside Sam and his wife Faith in this unique ministry. Motocross was never our passion, but reaching people for Jesus is! We found that as we looked at what God had placed in our hands, the opportunities through this unique ministry, that God used and blessed our efforts. Stepping outside of our comfort zone, we saw God step in and provide not only opportunities to share, but the words we needed for each encounter. 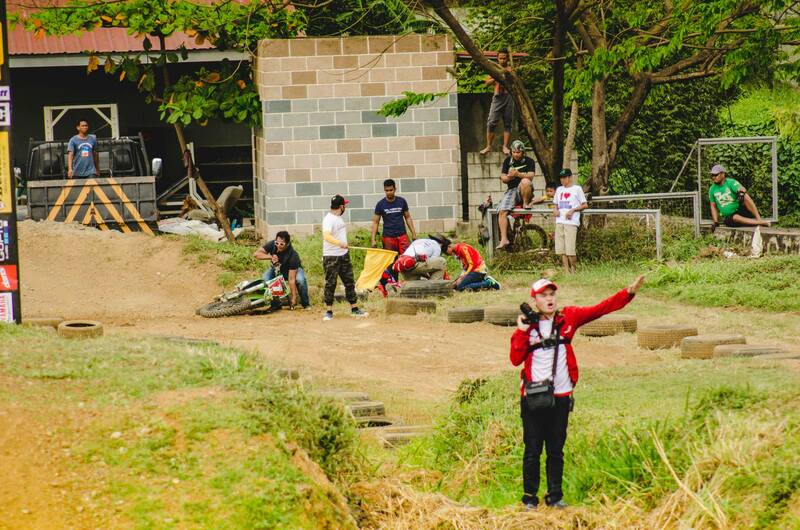 Since that time, you will find us at the race track on Sunday mornings (motocross has now become our passion), talking with the riders, encouraging them, and true to form Connie will have her camera out taking photos of them practicing and sharing them on social media. As we share with them, we have the opportunity to share the love of Jesus as well. Around 10:30 we huddle up with whoever is there to practice and we have church. Not your typical worship style, these guys are hot and sweaty and wearing all their gear. But God meets us there and lives are being transformed. Several come just for the Bible study even when they are not practicing, and some go get their wives and kids as well. Although this is not the type of church we grew up with, we wouldn’t want to be any place else! Flying Solo – But Not Alone! Our first missionary assignment was in the Pacific Islands of Micronesia where Todd was a pilot for Pacific Missionary Aviation and I was Mom to a very active 2 year old and helped out in the office as needed taking position reports and such. When the Chief Pilot was out of the country and Todd had to make a flight to an outer island, he had engine trouble and ended up taking the engine apart on the coral runway and putting it back together. It was then that I made up my mind that I was going to get my pilots license, so I could at least fly a part to him if needed! When we returned to the US after our 3 years there, God worked it out for us to join a flying club and get an incredible deal on renting the airplane. I got 42 hours in that month!!!! 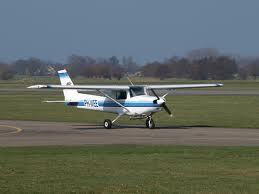 Had just one night landing and one other item to check off the list in order to take my test to be a private pilot. On my last solo cross country, with forest fires blazing, thunder clouds building and Borade Bombers flying across my windshield, I decided I had reached my goal and did not need the sign off. I was flying solo, but not alone! 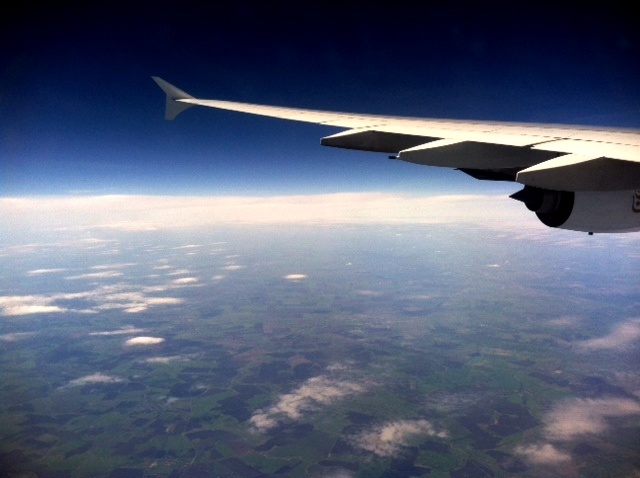 I was scared, but calm, nervous, but a weird sense of peace filled the plane. I believe God sent an angel to help encourage me. The voice of an older pilot came on my radio – as I was trying desperately to contact flight following, without any luck because I was over a ridge to avoid the heavy metal airplanes that were fighting the fires. He asked me if I knew where I was and I assured him I did. He asked a few other questions and then said he would relay for me. He did so and with a calm reassuring voice coached me along. Because of the weather, I was hitting up and down drafts that were taking me beyond the 50’ +/- allowed by my husband instructor who insisted I follow airline standards because he did not want me flying if I was not proficient as he did not want to raise our four kids alone! Solo but not alone…..I think that one of the reasons I didn’t feel alone in that plane was an experience I had while living on the island. When our youngest daughter was about to be born, Todd had to make an emergency medical evacuation of an 18 year old boy who would have died had Todd not been able to get him to the trauma center on Guam. 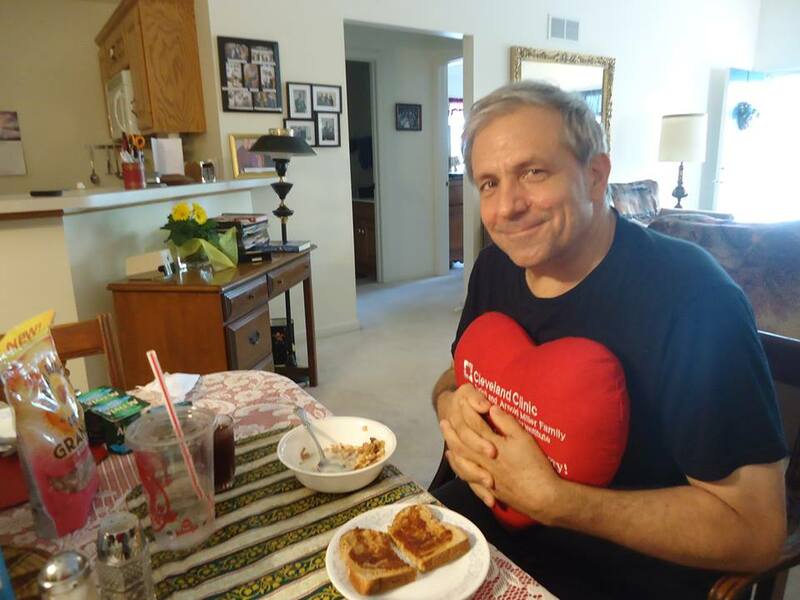 I was solo then, had another missionary wife and a lady lawyer friend I had made, but no husband, mom or sister there….. God helped me through that in a miraculous way. With a smile on my face, and a peace in my heart, God was there in that delivery room as our daughter entered the world. I asked my friend Dawn to take pictures with my camera as I wanted Todd to know that I was OK through it even though he was not able to be there. Not something I could have done on my own, but God gave me the strength when I needed it, to get through what I had to. When we were stationed in the Ivory Coast and the civil war was really heating up, a decision was made to send the wives and children to South Africa for safety. Three moms and 11 kids got on the plane that night. Flying solo again…..but not alone. Once again, God gave me a peace and although it was not easy for our family, we made it our goal to help the other two families with smaller children make the most of the experience. When we arrived, we were escorted to apartments for each family and I was given the keys to an 18 passenger van and a map book of Johannesburg, South Africa. I was elected to be the chauffeur because I didn’t have any accidents on my record. 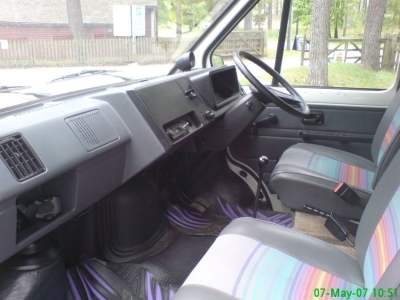 South African vehicles have the steering wheel on the right side, and one drives on the left side of the road! I took a solo flight before I trusted myself with all those people. One of my sons went with me and one stayed with the girls. Our first trip around the block we got a flat tire!!!! But again, God gave me the peace and assurance that He was with me and we got it fixed and I was able to drive the families all around Johannesburg safely. 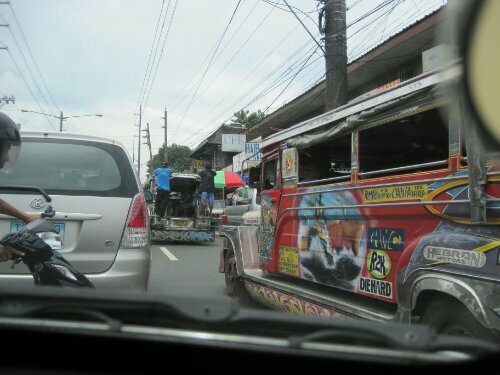 Now we are in the Philippines. In the past 21 days I have been Solo 17, and the couple of days Todd was home, were a whirlwind of preparations for the next trip to Indonesia. Solo but not alone…. I am so thankful that God is here with me, giving me that weird peace, blessing me with beautiful sunsets, and good friends to chat with. Even though the monsoon rains, caused by a typhoon sitting offshore, increased the mosquito population. And since we do not have any screens on our house, they swarmed around me eating me alive. After I stopped counting at 44 bites on one leg, I started to get the tale tell symptoms of sickness. I am so thankful that it was not a bad case, headache behind the eyes, fevers and nausea, but not so bad I had to seek medical attention. I had my down days where I didn’t feel good and was frustrated with being solo again. But through it all I am reminded that I am Solo, but not alone! Gospel music is what fills me back up. Not just listening, but singing along. 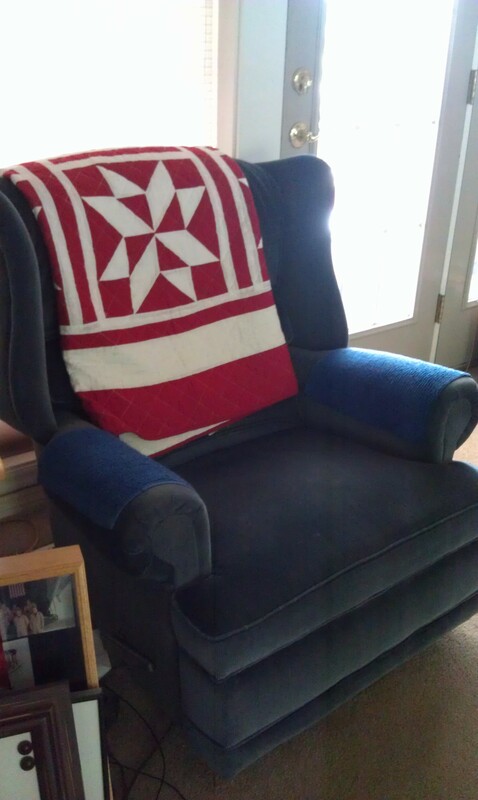 So the solo times make that a little easier… Poor Todd and our kids have had to put up with this for years! When I have a good internet connection, I can watch You Tube videos of Gaither concerts. But when that is not working, I listen to the few CD’s I have over and over and never get tired of singing to my Lord. I am transported to the presence of the King when I lift my voice in song, and I’m Forever Grateful! Todd has been gone for the past almost two weeks to attend several meetings at GMC in Kansas. Although I am fine staying here in the Philippines without him, I feel safe and love my work and all that, I still really don’t like it when he is gone. 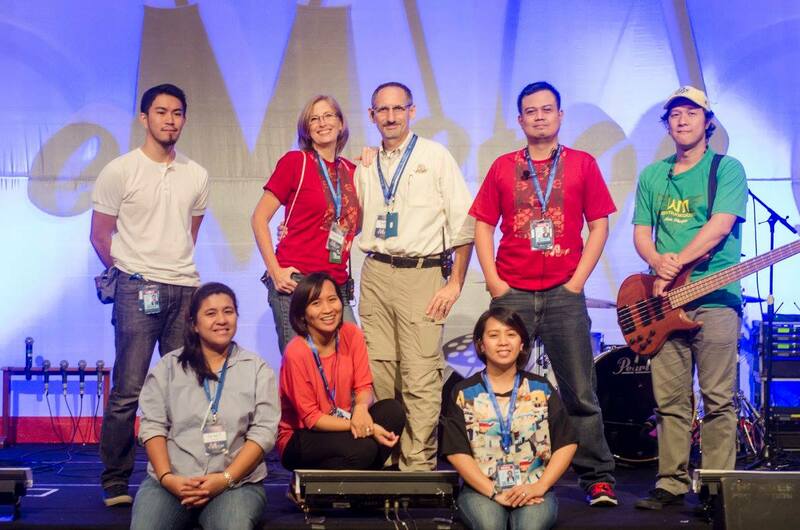 Todd and I had been praying before we came to the Philippines, about being in ministry together. I had a really good job, which I had enjoyed for several years, and that provided a large portion of our income, but we wanted to be in ministry together. We thought that was going to be at Hands of Hope Northwest! In comes Mark Louw with an offer for us to come to the Asia-Pacific Region as missionaries once again. After much prayer and I do mean much prayer, we accepted the position. Working together in ministry is a wonderful thing! Same time schedule, same goals, same passion for what God has set before us. 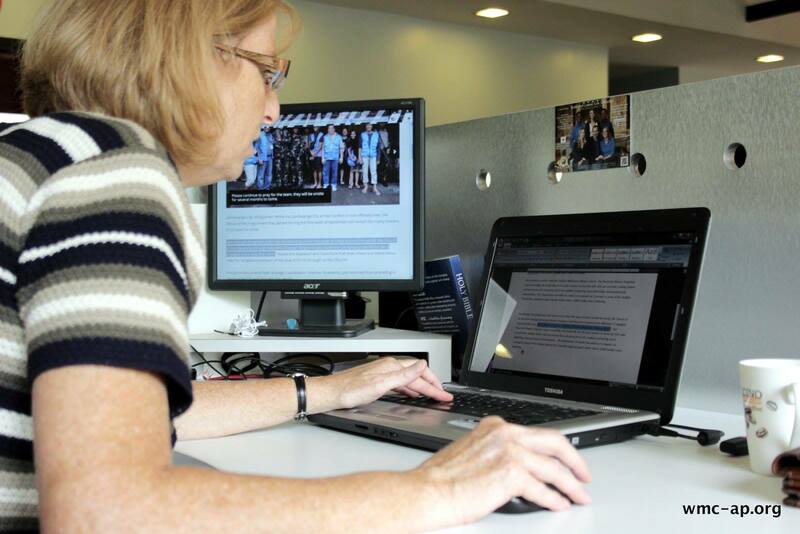 We work really well together, as we complement each other with our individual strengths. Really it has been wonderful. Hard, yes, being away from our kids and the rest of our families and friends. And the swarms of mosquitoes I am dealing with right now! But so rewarding in so many ways! God is continually teaching us things, and confirming things through each other as we read and study His Word. It is really amazing! 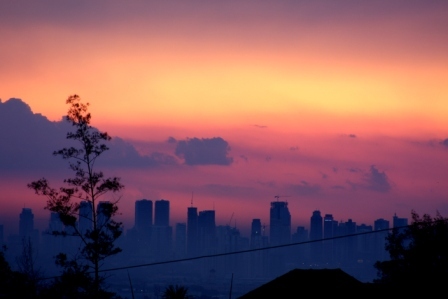 As Todd was getting ready to get on a plane headed “home” to the Philippines, he said “one step closer to home.” That phrase ‘closer to home’ caught my attention and my brain began to whirl. : ) I told him that I was going to use that phrase for a blog update! And here it is. Closer to home…..is this our home? In some ways the Philippines feels like our home, but every day we are reminded that our kids are in the US and that is our home. Closer to home….is this world our home? In some ways it feels like our home, but every day we are reminded that our Savior is in Heaven and that is our home. Closer to home….I like that phrase. As the airplane carrying Todd and a few hundred other people slowly makes its way across the ocean to Manila, he is getting closer to home. And as we continue to work in ministry together here, growing in our relationship with our Savior – we are closer to home with Him in heaven. How close are you to home? What steps do you need to take today to get one step closer to home? Typhoon season is upon us…life as usual! This is the time of year that storms build across the world! With the sophisticated weather tracking software available, you can look online and see the different storms and their intensity. This can either be a comfort or a concern, depending on your location or the location of your loved ones to those storm cells. Typhoon Ramassan hit us here in Manila as a Category 3, which means that it had winds 111–129 mph and was considered a major typhoon. The local name for Ramassan was Glenda, and she came in like a lion but she left like a lamb! A typhoon is a storm that has a circular pattern with the winds blowing counterclockwise (here north of the equator). As the storm comes across a point, the first half of the storm the winds will be blowing from one side, but as the eye of the storm passes over, the winds then change direction and come from the other side. Confusing I know, but that is just how it works….typically. Glenda came in hard blowing rain and debris all over, but as the eye of the storm came over us, the winds died down and rain stopped, which is typical. But they never picked back up again! In like a lion, out like a lamb! And let me tell you I was so very thankful! Todd and I had spent hours out in the wind and rain trying to keep the drains from backing up and flooding out our house! We may be living in the tropics, but with wind that strong and rain pelting you, it is cold! I was miserable! But I was so thankful that I had a house to come into that only flooded from our roof and blowing rain, but never from rising water (we are on a hill). I cannot say that was the case everywhere! There was a lot of flooding and many homes were destroyed. In comes Nazarene Disaster Response! The Philippine Field Office is really efficient at getting relief supplies together, bagged up, and shipped out to the areas hardest hit. There was a whole team of young folks and older ones alike that came together to make a difference in the lives of those impacted, by supplying the basic needs in the midst of yet another disaster. Some of those that came to help were some great folks from Rancho Cucamonga, California that had come a few weeks earlier (Work and Witness Team) to help rebuilding in the wake of Super Typhoon Yolanda. 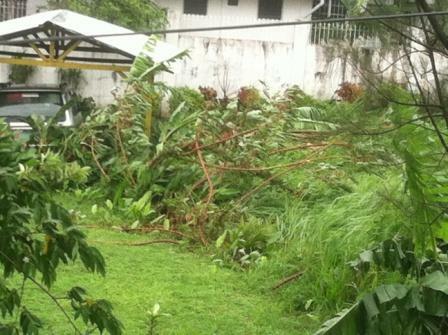 Then, courtesy of typhoon Glenda, they missed their connection and had to spend a couple extra days with us! 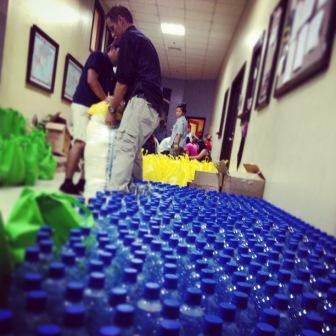 I am so thankful to be part of a church that cares about the whole person and lends a hand in times of need. As I write this, we have yet another typhoon sitting out to the east of the Philippines. As I said this is the time of year…. This one is named Halong or Jose. They do not expect it to hit us, but as is the way of storms, it will pull in moisture from all around that will drop buckets of rain on the Philippines and cause wide spread flooding and the need for relief supplies will most likely continue. In the midst of the storms of life, we have much to praise The Lord for! One of those big praises is that Dr. Radcliffe, surgeon at our Kujip Nazarene Hospital in Papua New Guinea (PNG) has been released from the hospital and is doing well! We are so thankful to all of you who lifted he and his family in prayer through this difficult time. The Lord continued to show His love and care and brought doctors and staff into their path that they had a connection with and they were comforted knowing that their doctors knew The Lord personally! Regardless of the location of the storm, they are always an opportunity to let our testimony of the hope found in Christ shine! We are so thankful that God has provided the opportunity for us to serve here in Asia. We are also, so very thankful to each and every one of you who are also faithful in prayers and financial partnership. Together many lives are being touched for the kingdom! Thank You! !